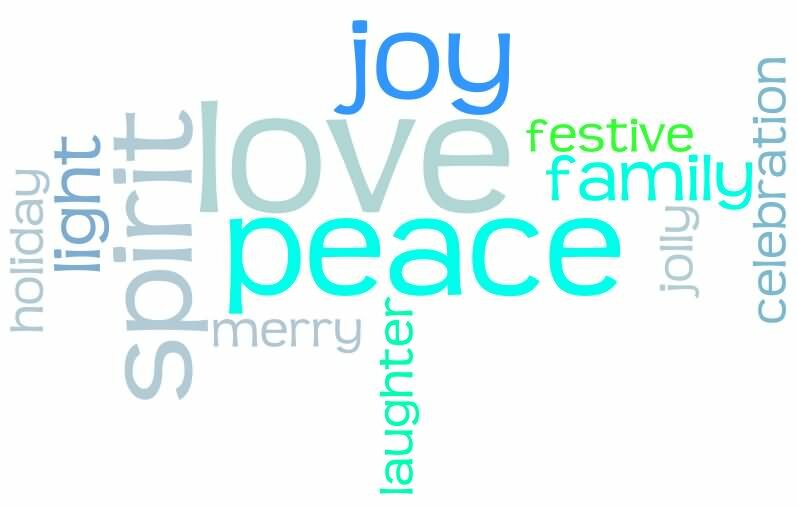 As the holiday season culminates this week with Hanukkah, which has come to a close, and Christmas and Kwanzaa, which are celebrated this weekend and into next week, the spirit of the season is something to fall in love with. The truth is, at the heart of the season is YOU. Peace on Earth – finding the peace you seek when it comes to the relationships you want is part of the holiday experience. We want to encourage you to find peace within yourself with the relationships you have had in the past and clear the space for the brand new relationship you want to find and enjoy in the new year. Good will toward men and women – as you seek the peace we suggest above, find that sense of good will toward the men you have dated up until now and appreciate what you have learned about the relationship you really want as a result. Use that information to help you avoid repeating the same relationship experience and define the person and relationship you are now seeking. Be gracious with the women you meet who are also seeking the man of their dreams. They are on their own journeys. And cheer on those who have found their soulmates and celebrate them. You are next and will enjoy celebrating your relationship joy with others too. Miracles really do happen – just like the eight nights of Hanukkah and the birth of the baby Jesus, miracles really do happen when it comes to love. Many a fine man has been found miraculously by women everywhere in the places or times when they least expected to meet him. We are excited to help you prepare to find him, and then go out to meet and keep him with our tried-and-true Boys Before Business philosophy. “What’s the news?” – just like the traditional Kwanzaa greeting, “Habari gani” (which in Swahili means “what’s the news?” which is answered with The Seven Principles, one for each day of Kwanzaa), we believe that the principles of a good relationship are founded on who you are, what’s important to you, and focusing on what kind of relationship you want to build with your dream man. Find the root of your dream relationship in the values you treasure and find the one who shares those same values and perspectives. This is the first step to a winning relationship that could last a lifetime. Since you are at the heart of the season’s celebration, and since you are at the heart of the relationship you seek, learn to fall in love with you and find peace with and within yourself. If you feel like you’ve made mistakes in relationships past, release yourself from these and instead view them as learning lessons to help you find the relationship you desire. Be grateful for the experiences you’ve had and clear the slate with yourself so you feel good about getting into a new relationship this new year. Use the past as your learning playground because you don’t want the pain of your past to hurt your future. Simply let go, leverage the lessons learned, and live on. Let the joy of the spirit of the season this week and next week light up your heart and make you smile, as you prepare for the year 2015 to come to a close.